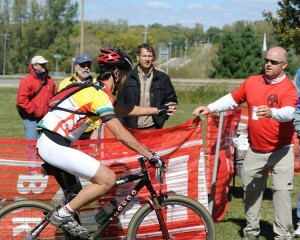 Skilled and dedicated coaches are the most important aspect of Wisconsin League high school mountain bike teams. A coach puts the safety and overall well-being of their student-athletes as the first priority. Wisconsin League coaches are role models and teachers who are open to learning the best practices of youth mountain bike coaching and actively work to hone their leadership skills. No experience is necessary to become a Wisconsin League coach. We have several teams already established you could volunteer for – a great way to get a first-hand look at what managing a team is like. We offer comprehensive training at our 2019 Leaders’ Summit events (April). Be sure to sign up for the Wisconsin League Newsletter and stay up to date on Wisconsin League events, clinics, camps and news! The path to becoming a Wisconsin League coach generally begins with volunteering for a local team, or attending the 2019 Leaders’ Summit. Click here to learn which license level works best for your needs. Want to Start at Team? Take a look at our Team Starter Kit Page. Send an email to Kathy Mock, kathy@wisconsinmtb.org.